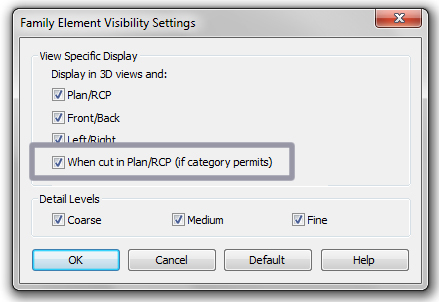 Setting up view range regularly came with great stress, and “why I can’t see this particular element” shouts. To explain it to myself (and maybe other), I write a few lines about it. 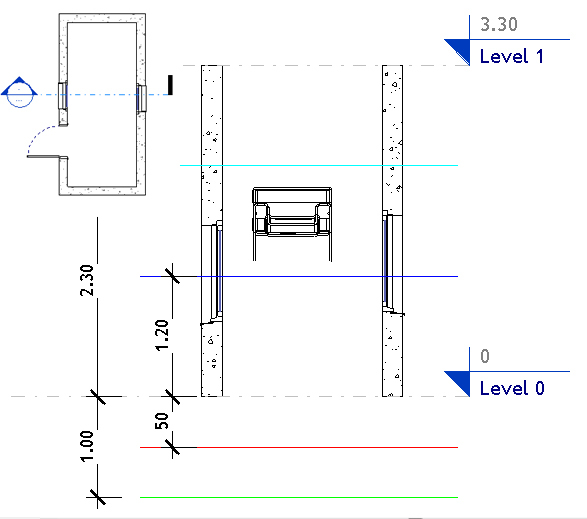 The general idea behind the view range is that every element between the Cut plane and the View Depth is displayed. 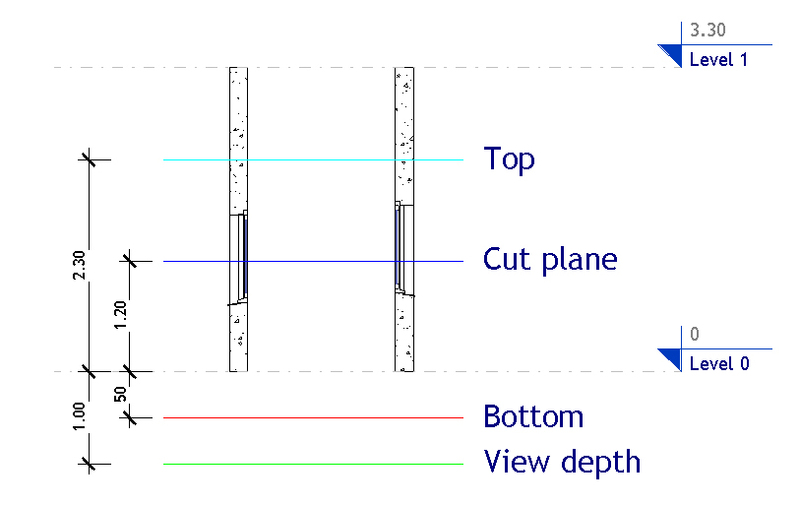 On ceiling plan, where there is only three plans, all objects included between the cut plane and the View Depth plane are visible. On the other hand, some families, let’s call them the “cutable” ones, change their appearance when cut by the Cut plane, and display the section display of their material. Cutable objects belongs to one of the following categories: Wall, windows, doors, railings, site, Structural column, Structural foundation, Structural Framing, Structural Stiffener, Casework, Columns, Roof, Ceilling, and Floor. Some categories have also specific behaviors. 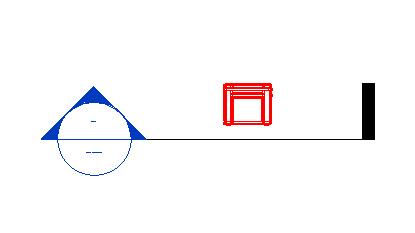 For example, a windows stay visible above the cut plane if the hosting wall is still below the cut plane. 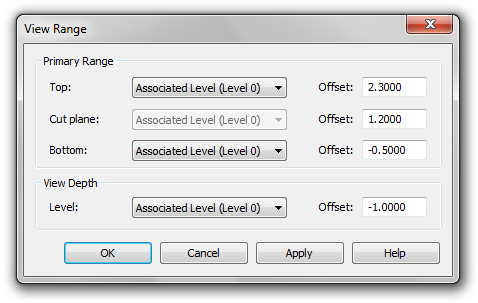 Filters Override, on the contrary, stays active whenever the object is bellow or above the Bottom plane. I don’t know the reason of such behavior, maybe someone from Autodesk could be able to answer. 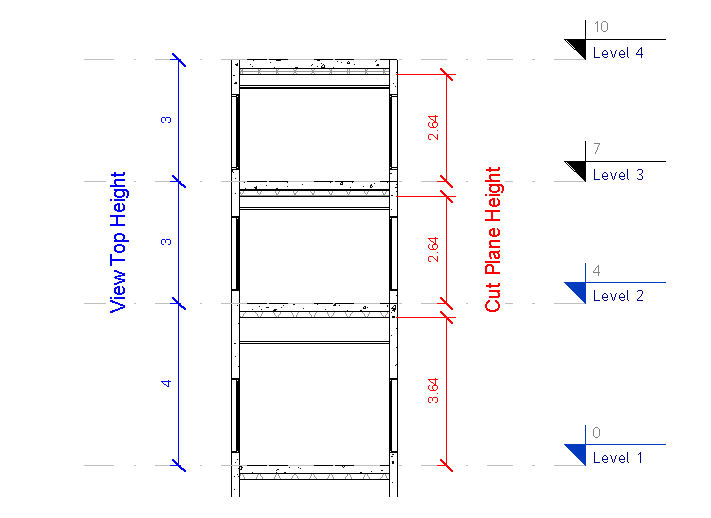 Finally, to help users with this view range issues, I create a general section of the building with two different set of dimensions, one for Top height, the other for Cut Plane Height. 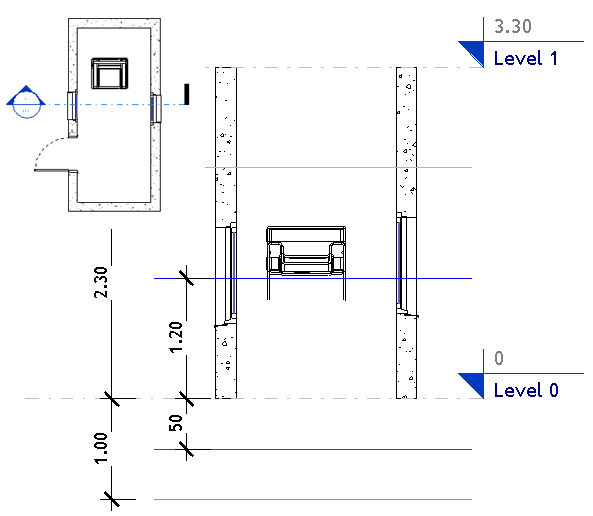 This section is printed and used as a handout for Revit users to set up themselves their view range on their working views. EDIT : I have found on Augi the solution for objects placed below the Bottom plane. These elements are displayed with the project’s Style Line.